Avatar Whitsundays Tour explores one of the most beautiful areas of Queensland, The Whitsunday Islands Great Barrier Reef Marine Park. 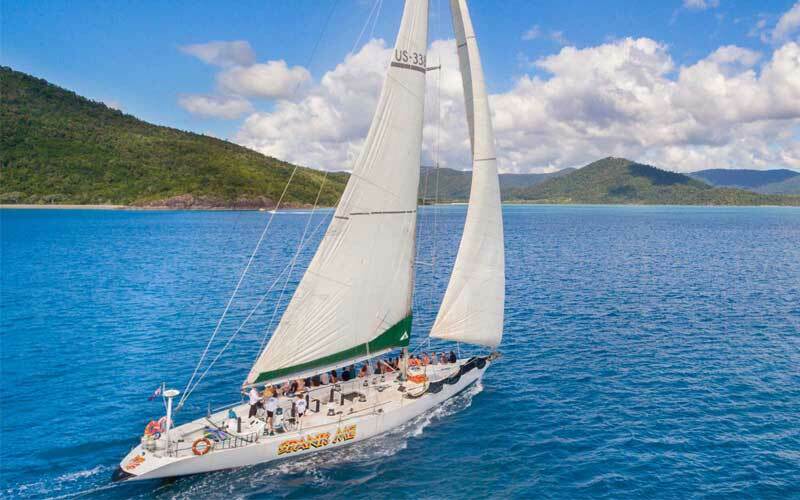 On this Whitsundays Islands Sailing Holiday, you can enjoy exploring these superb islands, cruise to Whitehaven beach, as well as snorkelling in the Great Barrier Reef all under sail of the Whitsundays only commercial trimaran. 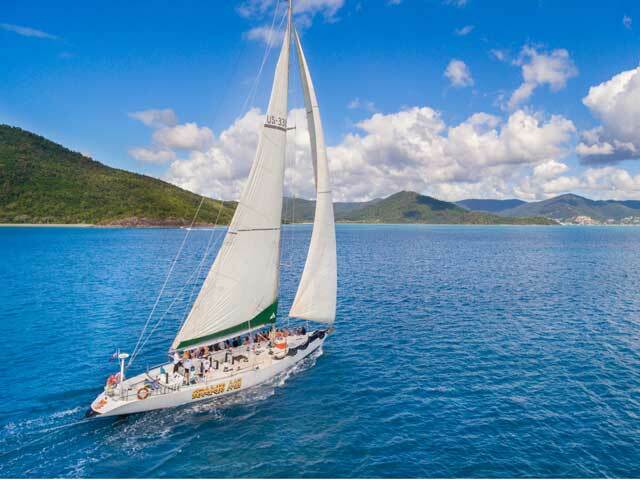 Start your sailing adventure on Avatar Whitsundays navigating these beautiful ocean waters that are abundant with tropical sea life. There are 74 different islands gathered in this area all with close access to the great barrier reef. Our staff members can identify some of the most beautiful spots here as well as some of the finest areas for snorkelling and sailing. 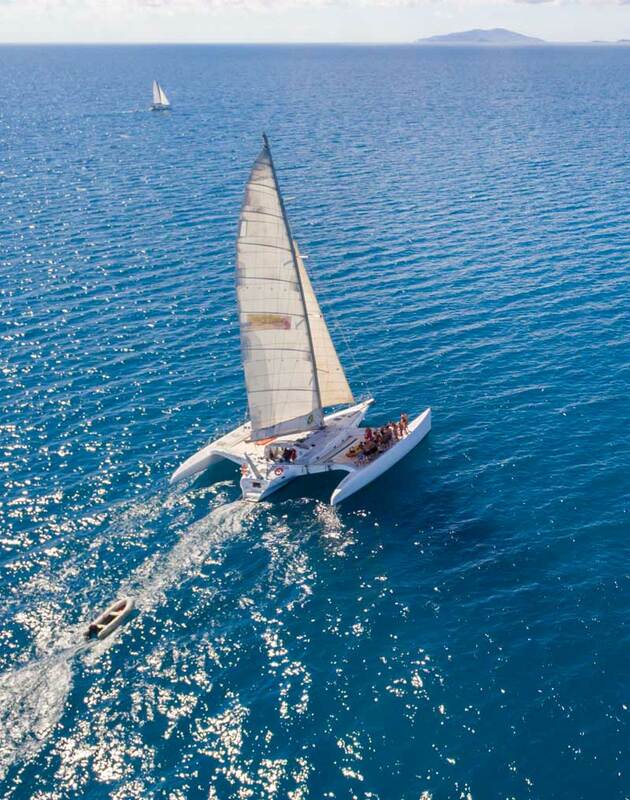 Avatar is a 67ft Sailing Trimaran that was built for racing but now has been converted to take 26 guests on a sailing holiday around the stunning Whitsundays Islands. 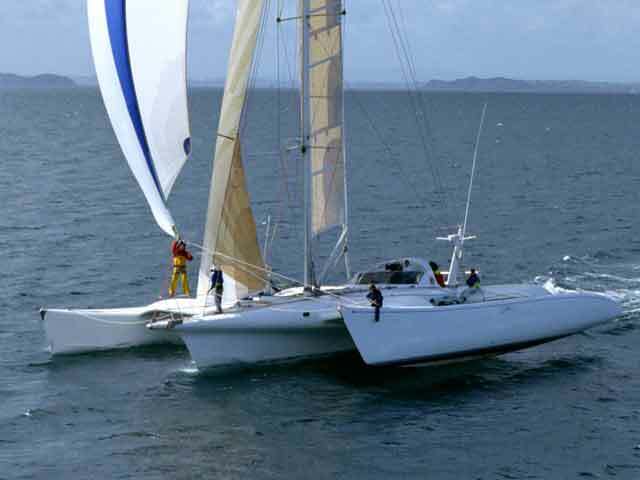 If you have never been on a racing yacht before, this can be a very fun experience. 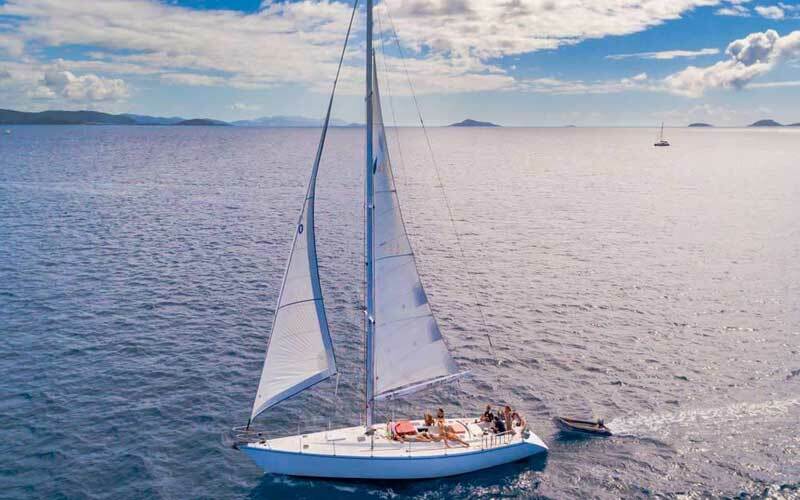 With plenty of deck areas to soak up the sun as well as a smooth, speedy and comfortable ride, this is one of the best ways to sail in Australia. 2 Days 2 Nights Sailing. 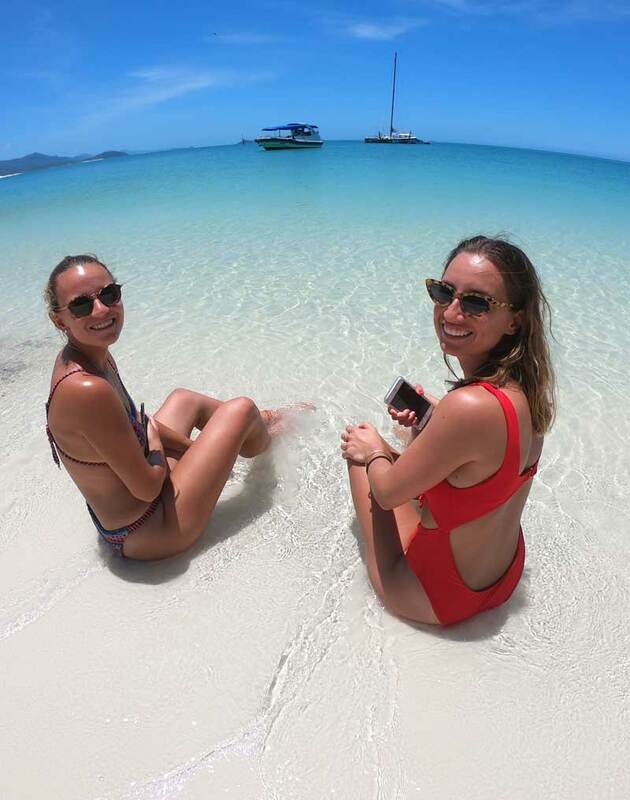 Spending time on Whitehaven Beach and Hill Inlet Lookout with an Avatar Whitsundays Tour is visual eye candy that won’t be quickly forgotten. Not only is this beach 7km long and covered in white silica sand it has crystal clear waters engulfed with wildlife This means you can experience your piece of paradise exploring on a secluded island beach! A Sailing Tour on Avatar around the Whitsunday Islands is a very social experience. Most of our guests range in age from 18 to 35. Our tour guides will keep you entertained with their knowledge of the area and make your sailing tour a fun experience that you will won’t forget. Snorkelling adventures with the Avatar Tour are conducted in sheltered areas of the Great Barrier Reef Marine Park. The snorkelling is very relaxed. Rather than having to deal with deep undertow’s or waves, this area is very sheltered by the islands. 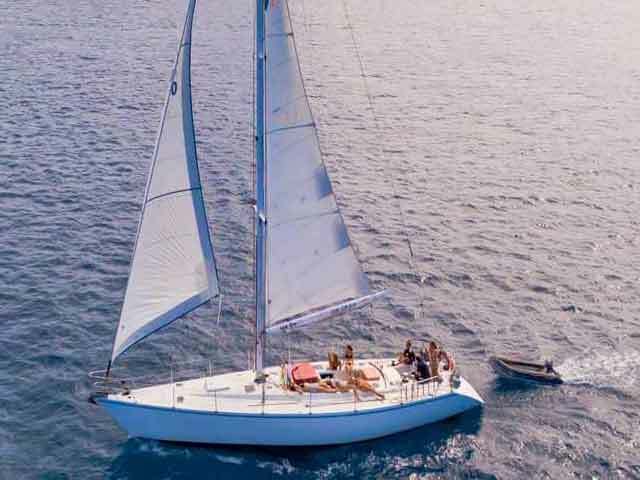 This makes for a very comfortable sail as well as excellent snorkelling locations. Explore the crystal-clear waters and experience what ocean life is like on the great barrier reef. 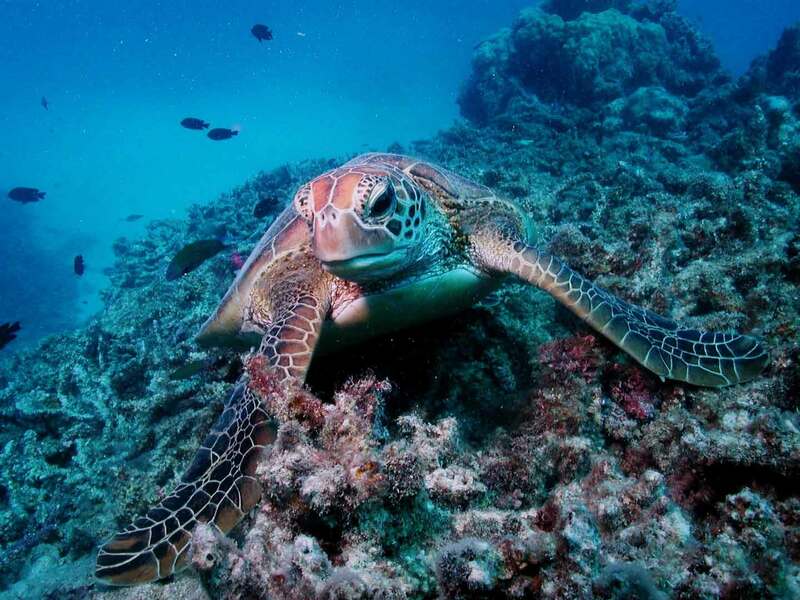 You may spot a turtle, and you will defiantly see a lot of beautiful tropical fish! With spectacular views of the islands, the great barrier reef, Whitehaven beach and the Hill Inlet Lookout there are plenty of photo opportunities with Avatar Whitsundays. With this 2-day 2-night sailing tour, you can soak up the sun in style and see many sights off the coast that many travellers do not get to experience. 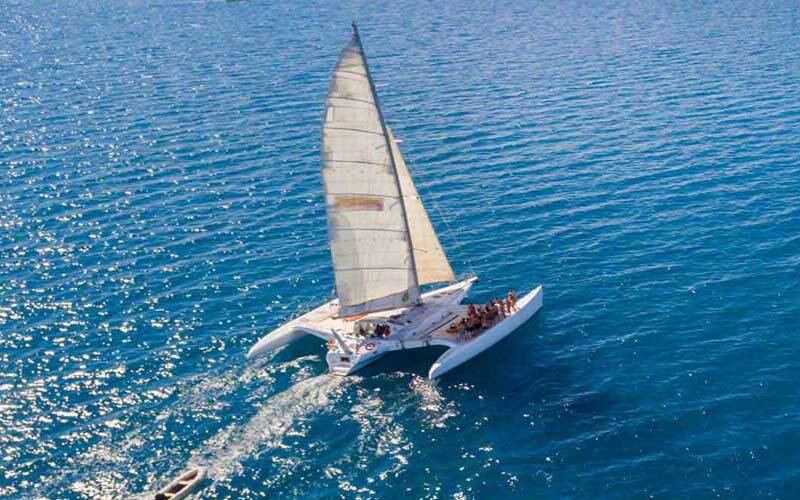 Avatar Whitsundays is the only Trimaran sailing commercially in the Whitsundays. But two sister ships are running the same tour on monohull yachts, Spank Me and Mandrake go to the same destinations and have the backpacker and student market.